With that powerful message, everything changed. Which is to say, nothing changed. Few teams in any sport can match the transformation that the Rays have made since Sternberg seized control of the franchise in October 2005. The team wasn’t just a perennial cellar-dweller before Sternberg, team president Matt Silverman, and de facto general manager Andrew Friedman took over; it was the biggest laughing stock in American pro sports. In a 2003 episode of the Late Show with David Letterman, Roger Clemens read number four on the list of “Top 10 Things Baseball Has Taught Me.” “The best practical joke?” he cracked, “Tell a teammate they’ve been traded to the Devil Rays.” Just three years later after the new regime’s takeover, the Rays were in the World Series, having completed a wildly improbable worst-to-first season, in the process changing the organizational culture from incompetence to ruthless efficiency. Over the past five years, the Rays have snagged two division titles in arguably the toughest division in the game, one wild-card berth that capped arguably the most exciting day of regular-season baseball ever, and a better record than any other team except the Yankees and Phillies. They’ve also drawn fewer fans in those five years than all but two teams. There are plenty of reasons for this gigantic disconnect. The combination of a terrible team and a terrible previous owner in Vince Naimoli alienated tens of thousands of potential customers, some of whom have been slow to come back. The Tampa-St. Petersburg region is home to legions of transplants from other parts of the country, such that all the local Yankees, Red Sox, and Cubs fans might not be all that excited about Evan Longoria or David Price. With only 15 years of history on their side, the Rays haven’t had time to build the history of fathers and sons and mothers and daughters going to the ballpark, a phenomenon that fuels fan interest in other mid-sized markets (though the Rockies and Diamondbacks both draw better, to name two clubs in similar situations). The recession that battered the nation hit the Tampa Bay area harder than most, such that if you combine the actual unemployment rate with the large number of people who gave up their job hunts, the effective jobless rate was probably closer to 15 or even 20 percent (though the Tigers are drawing very well in teetering Detroit). Already lacking the high-profile corporate headquarters found in most other MLB markets, that recession further eroded the Rays’ already anemic corporate support. Some of these negative factors should have dissipated by now. The economy is still in rough shape, but it’s also better off than it was at the nadir of the recession. And the team has had half a decade to prove its skill and staying power, with the Rays generating one of the most exciting crops of homegrown stars in the game, winning 90 or more games and contending right down to the wire in four of the past five years. fewer even than eight Triple-A parks. Though the area around the stadium gets more grief than it deserves, even its biggest backer would concede this isn’t anything like Chicago’s Wrigleyville, San Diego’s Gaslamp Quarter, or any of the other destination neighborhoods that surround other big league stadiums. Mass transit is more or less non-existent, and many locals on the Tampa side of the bay and beyond have shown no interest in crossing the connecting Howard Frankland Bridge — understandable if you’ve ever had to spend a couple of fortnights moving 10 feet on the damn thing. Then there’s the Trop itself. Credit Sternberg for making significant cosmetic and infrastructure upgrades to the place over the past seven years. Still, no one’s going to a game just to see the stadium, and that’s being generous. The Rays have tried numerous times to solve their stadium problem. The most tangible effort launched in 2007, with a plan to build a waterfront ballpark on the small footprint of old Al Lang Stadium in downtown St. Pete. That park would’ve solved the two-sided problem of the region’s often nasty weather versus a desire for outdoor baseball, by installing a retractable roof with a sail-like design that could easily be pulled on or off in a few minutes. Though the location didn’t address the distance issue for commuters from Tampa and beyond, it would’ve been more centrally located in downtown St. Pete, with splashdown homers a daily possibility. But mounting opposition for reasons ranging from location to financing quickly scuttled the plan. Since then, various local task forces and committees have sprung up to address the issue, with the main focus on location. Sites on the tip of St. Pete near Tampa, in downtown Tampa, northeast of both cities at a well-traveled freeway intersection, and other possibilities have been discussed. The location issue alone has been contentious, with St. Pete Mayor Bill Foster digging in his heels, pointing to the 30-year lease that binds the team to the Trop until 2027, and threatening action if Sternberg or neighboring Hillsborough County so much as hold hands, let alone get to second base in negotiations for a park on the other side of the bay. Regional cooperation has been non-existent. A lack of interest in public stadium financing has remained (justifiably) constant, with locals needing only look at the nuclear disaster that Jeffrey Loria and South Florida politicians foisted on taxpayers in that part of the state. That’s right, contraction. The canard trotted out a decade earlier that went nowhere, the one that would cost the industry hundreds of millions of dollars and trigger piles of lawsuits from the players’ union, back from the dead in the wake of a frustrating playoff loss. Thing is, we shouldn’t be surprised that all parties involved are acting in their own self-interest. Sternberg can hint all he wants at financial difficulties. But until he and other team owners open their books, we have no reason to believe them. In fact, on the rare occasion when the public has gained access to those finances, we’ve learned that multiple teams are in much better shape than they’ve let on. At the beginning of their five-year run, the Rays likely banked about $70-$80 million a year from a combination of revenue sharing and contributions from baseball’s central fund (national TV deals, etc.). That figure has likely gone down since then, given baseball’s convoluted revenue-sharing system disincentivizes winning. Still, a new national TV deal kicks in next year, pumping more than $25 million per season into every team’s coffers. The Rays have never run a payroll higher than $73 million; meanwhile, the team benefits from both those outside revenue sources and others such as local media deals, and yes, attendance, meager though it might be. Attendance isn’t the only reliable gauge of local interest either. Local TV ratings have surged with the Rays playing winning baseball, suggesting a promising potential payoff when the team gets to negotiate its next deal. As things stand, the Rays are perennial contenders and perennially profitable. Sternberg simply wants the team to be more profitable. While the threat of contraction isn’t actually real, it’s probably not a stretch to say that some other teams are annoyed by the Rays’ attendance woes. If the Rays were drawing more fans, the thought goes, richer clubs wouldn’t have to subsidize their operations with fat revenue-sharing checks. This, too, is somewhat off base, though. Each of the 30 franchises owns territorial rights, some far more desirable than others. Even if the Rays, Pirates, Royals, and other lower-revenue teams started packing fans in, teams like the Yankees and Dodgers would still maintain enormous competitive advantages, since the markets they play in make it easier to charge more for tickets, and especially to make literally billions more in television revenue. Sure, teams of the Rays’ ilk should be working hard to build their local revenue streams. But some leveling of the playing field would remain necessary, given the 30 teams operate in a world where they need others to be competitive, rather than in a true free market. You can understand St. Pete’s Mayor Foster wanting the best deal for his city. But stubbornly refusing to let the Rays even consider moving to Tampa might not be the optimal approach. For one thing, the current bonds on Tropicana Field expire in 2016. For another, having the team leave — whether across the bay or across the country — wouldn’t necessarily be a bad thing for St. Pete. Year after year, we gain more and more evidence that pro sports teams do little for local economies, and that often cities actually lose money to keep teams in town, especially when those cities have to drop half a billion or more for a new stadium or arena. Many politicians live in fear of being the person responsible for a team leaving town, that their approval numbers and re-election chances will suffer as a result. In a fiscally conservative town like St. Petersburg, where the local economy is already suffering, maybe giving another city the privilege of building the Rays a new ballpark isn’t such a bad idea. 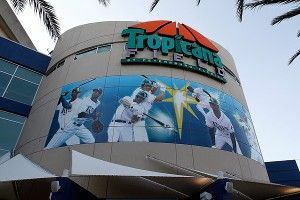 If Foster’s ongoing hard-line stance ends with the Rays cutting a handsome check to break their lease at the Trop, and the team going elsewhere, that might be the best possible result for taxpayers in St. Pete and the rest of Pinellas County. Finally, you’ve got fans in team-less cities pining for a potential Rays move. A city like Nashville might yearn for a summer complement to autumn’s Titans. The longing’s even stronger in a place like Montreal. With each additional nugget of speculation, Montrealers dream of baseball’s return, after the Expos’ own 36-season history ended with a move to Washington, D.C. Of all the self-interested parties, those that root for another city to lose its team deserve the most scorn. As the Expos’ final days dwindled, many fans in la belle province took to calling eager baseball fans in Washington vultures, unsavory anticipators of death waiting for the patient to expire. If you’re a jilted Expos fan wishing the same fate on Rays fans in Florida (or a Sonics fan savoring Kings fans’ misery in Sacramento), you’re just as bad. If I could have one sports wish for 2013, it would be that everyone — fans, media, everyone — would stop passing judgment on consumers’ spending habits, that they’d stop lecturing various fan bases for being unworthy of keeping their teams, based on a day or a month or a year’s attendance. As is, the Rays aren’t going anywhere anytime soon. A move across the bay would require a combination of political maneuvering and huge cash sources that no one’s able — or willing — to muster right now. A move out of market’s a far bigger long shot. The Expos remain the only team to move to a new region in more than 40 years, and that move required years of feckless ownership, massive erosion of corporate, political, and fan support, endemic financial and civic issues unique to Montreal, and the league to finally buy the team itself before finding a new buyer three years later. The Rays might be struggling to draw fans, but they’re not even in the same universe of hurt that demolished the Expos and forced their eviction. Add to that a lack of viable replacement markets (at least in MLB’s eyes) and the threat of litigation and a potential challenge to the sport’s anti-trust exemption should an owner try to displace a team, and the chances of seeing the Montreal/Nashville/Brooklyn/Jersey/Vegas/Portland/Charlotte/Flin Flon Rays in the near future are essentially nil. The two most likely scenarios, by far, would either see the Rays eventually wear down the City of St. Pete, escape from their current lease, and build a new, mostly publicly financed stadium in or at least closer to Tampa, or for Sternberg and his partners to give up their quest and sell the team for a gigantic profit. 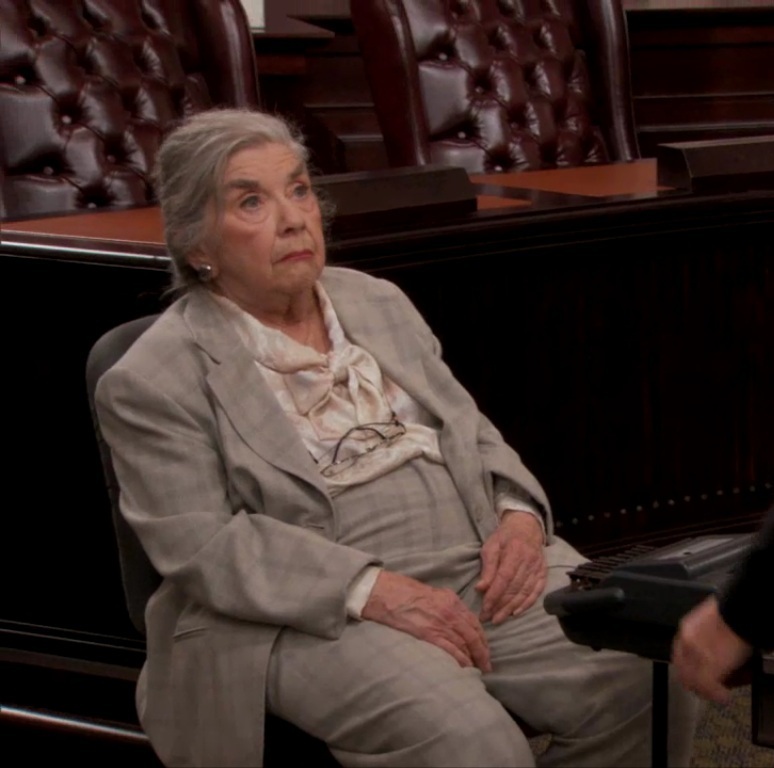 We’ve seen this movie far too many times already to expect any different result. Or to hold much sympathy for anyone, except the working-stiff taxpayers who’ll eventually foot the bill.